The most important role of a leader — be it an AYSO coach, pastor, executive, teacher or parent — is getting people to care. Caring is not binary; we care to varying degrees about all we experience. The greater the degree of our emotional engagement and commitment, the more likely we are to achieve progress and happiness. Our community cares — intensely about lots of things. We care about our environment and climate. The arts and music. Our kids and schools. Downtown and open space. Development and housing. Transportation and parking. Growth and taxes. Homelessness and hunger. We have a front row seat at our office, witness to myriad community members and groups that weave the fabric of our community. 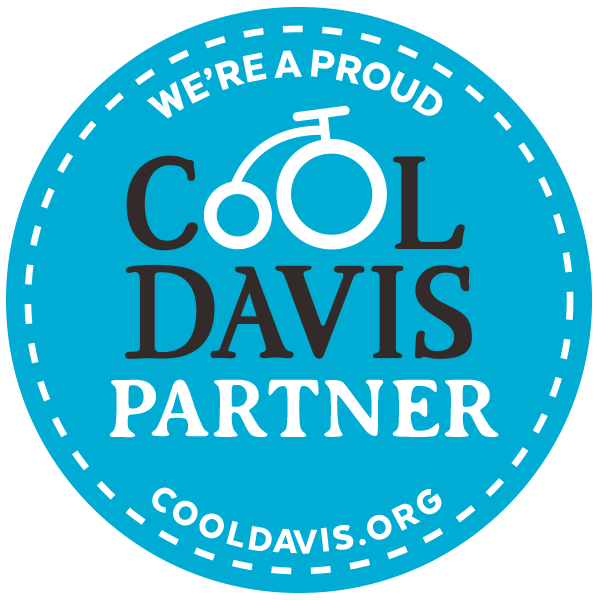 In 2018, we have donated our space and hosted meetings/events for the Third Space Art Collective, Jumpstart Davis, Cool Davis Foundation, Davis Electric Vehicle Association, Holistic Health, Think Resilience, Bike City Theatre Company, Valley Climate Action Center, Yolo Interfaith Alliance for Climate Justice, and Soroptimist International of Davis. Please join us in supporting these organizations, along with the 50+ we have donated to via our YoloShines program. And, if you’re involved with a local nonprofit, mi casa es su casa … we are happy to host your next meeting or event. Please swing by or drop us a line. Newer PostValley Clean Energy: Should I stay or should I go?